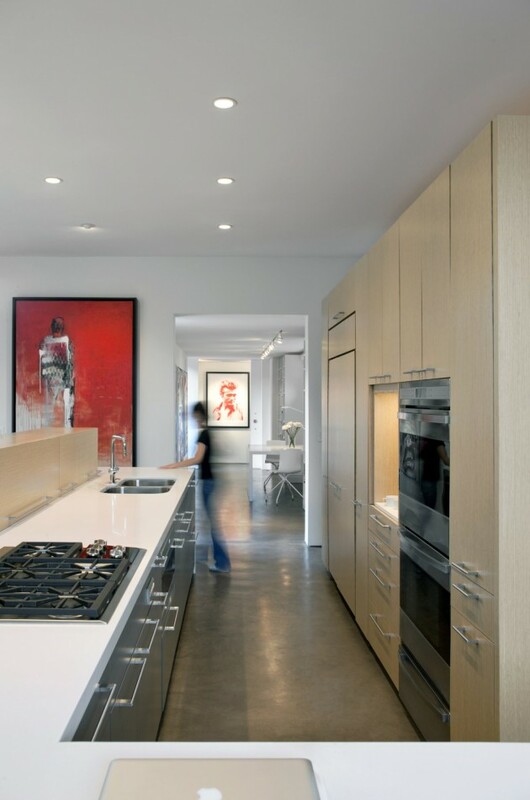 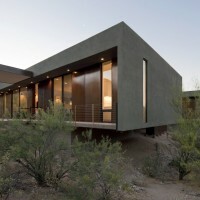 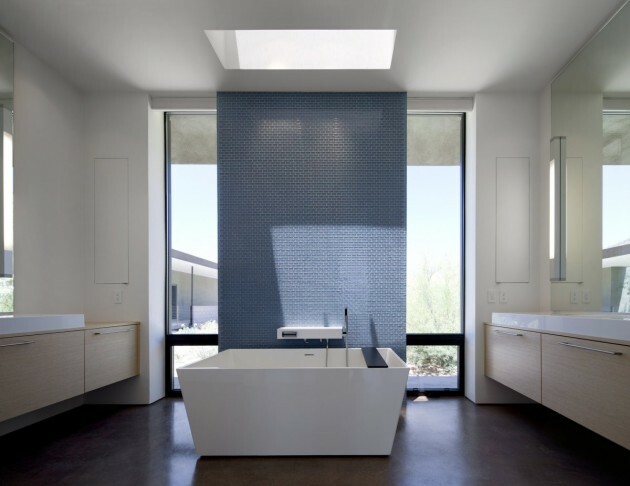 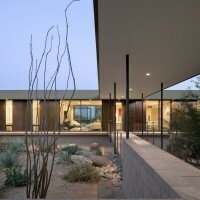 The Levin Residence in Marana, Arizona has been designed by Ibarra Rosano Design Architects. 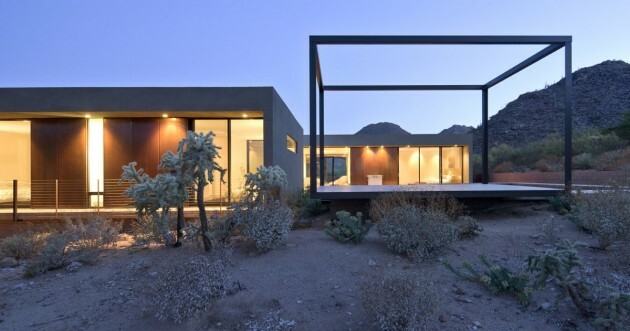 Three simple rectangular volumes hover above the desert floor, oriented to harness the sun, frame the views and capture the breezes. 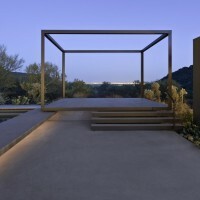 In much the same way a photographer crops an image, the house organizes the landscapes into intelligible formats, which focus and celebrate the environment. 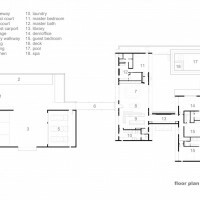 The plan organization is based on simplicity, functionality and “collapsibility”, enabling the house to be operated as a smaller home when the guests are away.